This week’s AFL matches set for the weekend of the 18th to the 20th of August promise plenty of action and excitement for all avid punters and fans. 18 Aug – The Swans faced the Crows at last year’s semi final and walked all over them. This year however the Crows have made a fantastic recovery while the Swans have made an equally great showing. This is an incredibly tough game to call, but statistically the Crows have been better this season. 19 Aug – The Bulldogs come off a painful loss last week and the lack of forward Jack Redpath for this game will hurt even more. The Bulldogs are still the favourites to take this match, but Port Adelaide could take advantage of the undermanned Bulldog backline. 19 Aug – The Cats are in the number 3 spot while Collingwood is currently ranked 13th. Collingwood have come out on top against the Cats before but that was with Scott Pendlebury and Brodie Grundy who will be missing from this match. Cats for the win. 19 Aug – The GWS midfield should make short work of the West Coast Eagles. The Giants will win this one by as much as 20 points. 19 Aug – Essondon have to win this match to make it into the top 8. They are facing a team coming off taking a big beating and Essendon may have a clear edge to push them to the win. 19 Aug – With Carlton’s average mid-field performance and Hawthorn’s powerful forward attack, this match may be a predictable one. The Hawks should come out on top with at least 10 points to spare. 20 Aug – Melbourne needs to win 2 more games and they will be in the finals for the first time in 10 years. It should be simple when in this encounter they face a team they have beaten multiple times in previous encounters. 20 Aug – This could potentially be a quite equal matchup but the way North Melbourne has been conceding points, St Kilda should come out on top. North Melbourne cannot afford any concessions in this matchup. 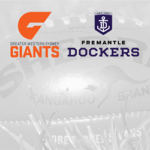 20 Aug – A momentous occasion, as it will be Fremantle’s final game at the Domain Stadium. This game will be fought in the midfield, but Richmond’s defensive record gives them the edge in this game. Richmond should comfortable take this game by at least 15 points. Wingman Harry Taylor has confirmed to reporters that he will be playing his sixth game this season, having missed the majority of the other matches this year due to an …. Celebration for the Greater Western Sydney Giants as they fought for the top four spot against long-time opponents, Fremantle. Despite playing an unattractive game to start with, the Giants were …. 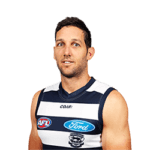 Getting Set for the AFL Quarter Finals Week 1 We are finally heading into the last phase of the AFL season and you can get your bets in online at …. Weekly AFL Games Round 23 Let’s take a look at this week’s AFL action as we enter round 23. Hawthorn v Western Bulldogs With better stats this season in defence …. Weekly AFL Game Round Up We are heading into the final rounds of the AFL. Teams are starting to feel the heat as the top 8 cut looms. The teams ….